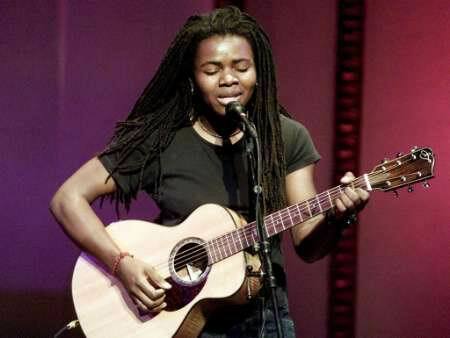 Tracy Chapman sang 2 Bob Dylan songs at the event “The Work of Bob Dylan”, a benefit birthday tribute to Bob Dylan in New York on May 19, 2001: ““I Threw It All Away” and “Gotta Serve Somebody”. The proceeds from benefit went to the PEN American Center, a group of 2,600 poets, playwrites, editors, essayists, translators and novelists whose mission is to advance the cause of literature and reading. Event sponsored by The New Yorker will explore singer’s cultural significance over past four decades. NEW YORK — Last weekend he received an Academy Award, his first, for the song “Things Have Changed,”and now another longtime bastion of high culture, The New Yorker magazine, is set to honor Bob Dylan at Town Hall on May 19. The lineup will include folk-rocker Tracy Chapman, onetime Dylan sideman and Counting Crows producer T-Bone Burnett, new-wave rocker Graham Parker, and the Esquires, a trio that comprises neo-dustbowl songstress Gillian Welch, guitarist David Rawlings and drummer David Steele. Of particular note is the appearance of punk-rock priestess Patti Smith and her onetime paramour playwright Sam Shepard. All of the above will perform as-yet-undetermined Dylan songs; Shepherd will be collaborating with Burnett for the performance of one tune. Poet Ann Waldman, who appeared in “Renaldo & Clara,” the bizarre 1978 film depicting Dylan’s 1976 Rolling Thunder Revue, will appear as well. Additionally, novelists Rick Moody, Bobbie Ann Mason, and Boston University professor and author Christopher Ricks will likely read Dylan’s lyrics as spoken verse. New Yorker editor David Remnick will moderate the event. Dylan, who will turn 60 on May 24, has been notified of the event, but organizers have not heard back from his representatives as to whether he will attend. Calls to Dylan’s spokespeople were not returned by press time. He did show up for 1992’s massive concert at Madison Square Garden celebrating the 30th anniversary of the release of his first album, 1962’s Bob Dylan. “The Work of Bob Dylan” will benefit PEN, an international fellowship of writers, poets, editors and playwrights, and is part of the second annual The New Yorker Festival. Other events include a party hosted by “High Fidelity” scribe Nick Hornby on the same evening, followed the next day by a pair of talks with Chuck D., at the Director’s Guild Theatre, and Rickie Lee Jones, at the midtown Manhattan club Float. NEW YORK, NY — (INTERNET WIRE) — 05/21/2001 — Few have had as much influence over the course of contemporary music as Bob Dylan. As part of The New Yorker festival, Bob Dylan will be honored at a gathering of musicians, artists, poets and writers on Saturday night, May 19 – three days before Dylan’s 60th birthday. 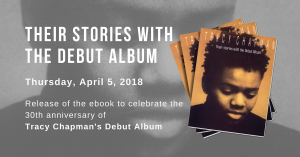 Singer-songwriters Tracy Chapman, Rickie Lee Jones, Graham Parker and Patti Smith will be in attendance, as will authors Bobbie Ann Mason, Rick Moody, Martin Amis and Dylanologist Christopher Ricks, among others. Hosting the event at Manhattan’s famed Town Hall will be New Yorker editor David Remnick. The New Yorker festival has featured more than 50 readings, interviews, performances, panel discussions, and brunches –each one designed to introduce New Yorker readers to the writers, editors, cartoonists, poets and artists they have already met reading the magazine. Saturday evening’s tribute to Dylan is being held to benefit PEN, the international writer’s group. PEN offers programs, services and human-rights campaigns on behalf of writers who have been censored or imprisoned because of their work. The gala caps two separate weekends of events in celebration of the magazine’s 75th anniversary. 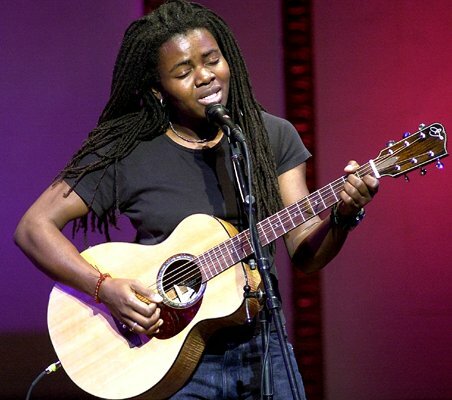 Tracy Chapman sings “Gotta Serve Somebody” (Bob Dylan) at a benefit birthday tribute to Bob Dylan in New York on May 19, 2001. The proceeds from benefit will go to the PEN American Center, a group of 2,600 poets, playwrites, editors, essayists, translators and novelists whose mission is to advance the cause of literature and reading.